Begin your morning with breakfast at your hotel. Today, you will enjoy a half day tour of Athens. You will visit the site of Acropolis. This tour gives you an opportunity to observe the striking contrasts that make Athens such a fascinating city. Our expert guides will take you to see the Panathenaic Stadium where the first Olympic Games of modern times were held in 1896. Continue and pass by the Prime Minister's residence (ex Royal Palace) guarded by the Euzones in their colorful uniform, the Temple of Olympian Zeus, the Hadrian's Arch, the Parliament and the memorial to the Unknown Soldier, the Academy, the University, the National Library, the Constitution Square (Syntagma). Continue and pass by the Prime Minister's residence guarded by the Euzones in their colorful uniform, the Temple of Olympian Zeus, the Hadrian's Arch, the Parliament. Other sites include the memorial to the Unknown Soldier, the Academy, the University, the National Library, the Constitution Square (Syntagma). 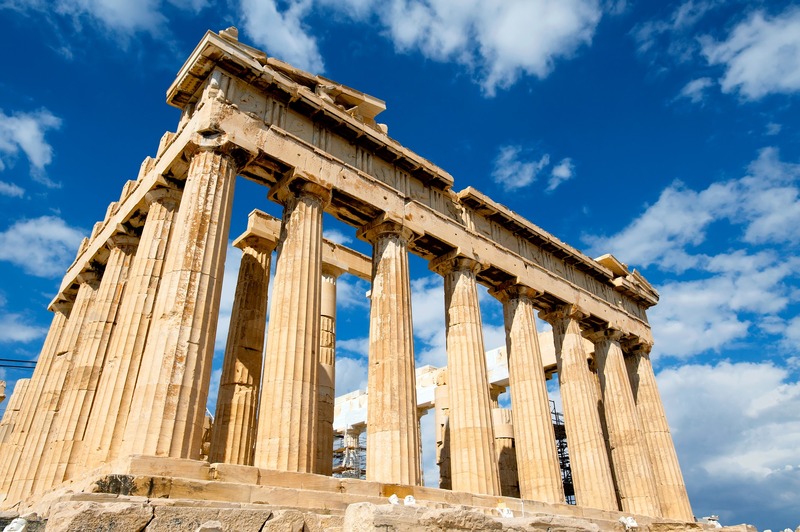 At the Acropolis, visit the architectural masterpieces of the Golden Age of Athens: the Propylaea, the Temple of Athena Nike, the Erechtheion, and the Parthenon. Begin your morning with breakfast at your hotel. Enjoy your free day by strolling along Plaka with its narrow streets, which are full of traditional restaurants where you can taste typical dishes of Greek cuisine, drink the famous “ouzo” and enjoy the atmosphere of this vibrant neighborhood at your own leisure. You may also choose to go on a one-day cruise (optional, not included). Departure from the hotel in the morning with a guide towards the port of Piraeus. The ship sails at 8:00 AM to the islands of the Saronic Gulf. Visit each island at your own leisure. Aegina is the biggest island in the Saronic Gulf. The two major attractions to visit in Aegina are the Monastery of Agios Nektarios and the Temple of Aphaia. Poros is the smallest of the three islands, full of pine and lemon trees, where you are going to have a nice walk and enjoy the great scenery. Hydra is one of the most cosmopolitan and picturesque Greek islands, with a unique architecture, narrow streets, and many shops. Please note: Optional tours can be organized on board of the ship for each island. Begin your morning with breakfast at your hotel. 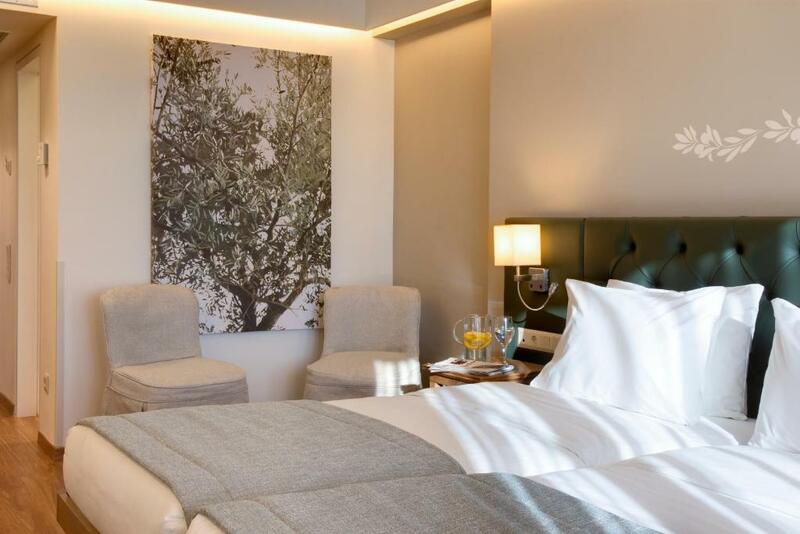 Today, you will be flying from Athens to Rome (flight not included, to be booked by agent). Upon arrival at Fiumicino Airport in Rome, you will be met and transferred by one of our representatives to your hotel. Begin your morning with breakfast at your hotel. Start the day with a panoramic view of the eternal city of Rome. Hop on and off the bus at your leisure, creating your own itinerary. Listen to interesting and informative commentary through your own individual headphones - several languages available. Discover the ancient and modern beauty of Rome. See the Colosseum, St. Peter's Basilica, the Roman Forum, the Vatican, and the Trevi Fountain to name a few. Pink buses are on the move all day long, taking you to the city’s most important monuments. Hop on and off whenever and wherever you please! Buses run daily, approximately every 30 minutes at 11 different bus route stops between 9:00 AM and 6:30 PM. The entire loop, without stops, takes about two hours in good traffic. On board, a very informative audio-guide will supply you with the unique history behind Rome’s visual splendor, providing plenty of information to enrich your experience. This tour is tape-recorded with individual earphones. In the afternoon, taste your way through Rome, teasing your sweet tooth with the best food in town. Guided by a local food connoisseur, check out the best of the best: renowned coffee shops, gelaterias, and, the grand finale, the most famous tiramisù shop in town. 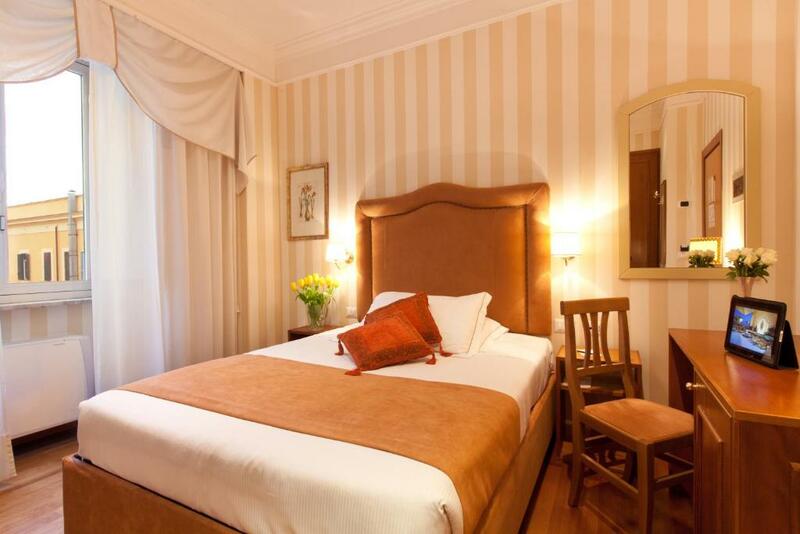 Spend the morning at leisure before experiencing the Imperial Rome Tour this afternoon. This fascinating three-hour tour covers ancient Rome’s major monuments including the Forum, the Arch of Constantine, Capitoline Hill, and the Sacred Way. The highlight of the afternoon is a guided inside visit of the Colosseum, where you can relive the bloody yet captivating history of this extraordinary monument.